All the SLAP Coaches call Clermont, Winter Garden, or Central Florida "home." We love everything this area has to offer for health and wellness and we look forward to sharing it all with you. Our primary goal is to unite the local multi-sport community for support, encouragement, accountability, competition, and build friendships by providing personal coaching and organized training sessions for athletes of all levels to reach their multi-sport goals. 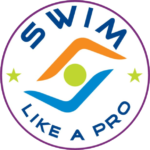 Swim Like A Pro started in 2013 when Coach Sara retired from racing professionally and when Coach Misty finished massage therapy school. 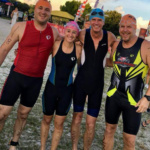 We have a passion for triathlon, swimming, and all endurance sports. The Clermont/South Lake/West Orange community continues to grow with new people moving to the area every day. SLAP is our way to unite all the local people involved in multi-sport to foster competition, friendship, and fun. 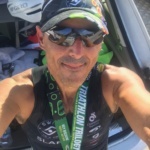 We have multiple coaching accreditations, certifications, and years of education and experience in triathlon, swimming, and every other multi-sport event possible! We enjoy sharing our knowledge with beginners and experienced athletes alike to help everyone reach their goals in sport. The #SLAPPERS have done the rest of the work...growing, training, racing, having fun, making friends, and accomplishing their goals. You can find #SLAPPERS representing the team all over Florida, the country, and even at international races! Meet the hard-working people that are excited to work with you on the path to achieving your goals. 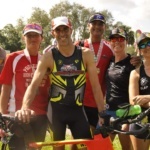 We specialize in coaching for all levels of triathlon, swimming, open water swimming, cycling, duathlon, aquathlon, aquabike, swimrun, adventure racing, and much more! Creativity and fun are two words that best describe Sara’s coaching methods at group training or during private technique sessions. Her personal career spanned 25 years of training and racing while representing the USA at multiple World Championship events. 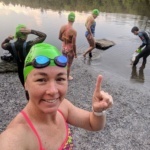 She has competed in swimming, open water swimming, triathlon, aquathon, swim/run, lifesaving and adventure racing. Sara travels as the Team Leader with the USA Triathlon Elite National team to the ITU World Triathlon Series Events. You can also find her swim technique articles and Quick Sets in Triathlete Magazine. Misty competed in a wide variety of competitive sports while growing up in South Florida...swimming, triathlon, lifeguard competition, rugby and more. She came to Clermont on an internship and ended up working at the NTC for 9 years as an Exercise/Aquatic Specialist. 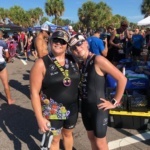 There, she crossed paths with Coach Sara and together, they have used their passion, education, and experience to grow the Swim Like A Pro brand in Central Florida and beyond. Liesl's coaching philosophy is based on creating a caring partnership while working together to meet the athlete's goals. She helps her athletes to develop skills and confidence by encouraging them to train hard, play hard, have fun, and stay healthy while enjoying a balanced life. Morgan's passion for healthy and active kids is evident with her three sons who participate in triathlon and many other sports. 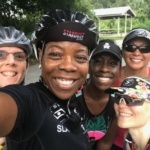 She formed a youth triathlon program in Central Florida called the Stingrayz. In 2018, we merged our teams together to provide the youth and junior athletes of Central Florida a team training environment to pursue the sport of triathlon. We are excited to bring Coach Morgan's positive and never-tiring attitude to the #SLAPPERS! Coach Michelle is a fantastic and patient teacher with the #miniSLAPPERS. She will be starting our training sessions in St. Cloud and the Melbourne areas.